We Will Literally Buy Any House in San Antonio, TX. We Just Proved It! 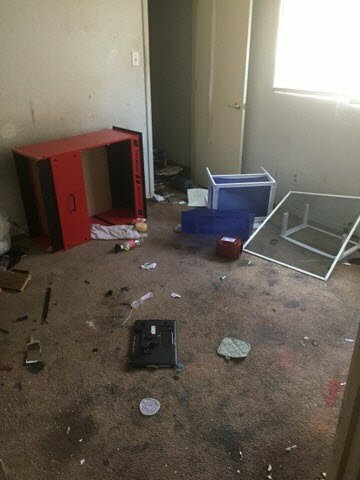 Here is the story of a house we recently purchased from a landlord whose tenants trashed his house before getting evicted. 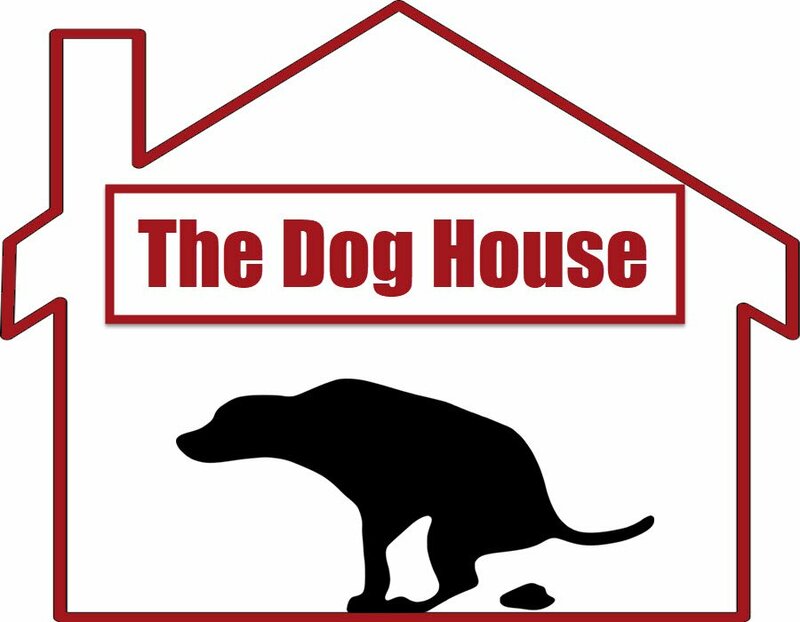 We’ve nicknamed this house the Dog House for reasons explained in this post. Rental properties are risky business. 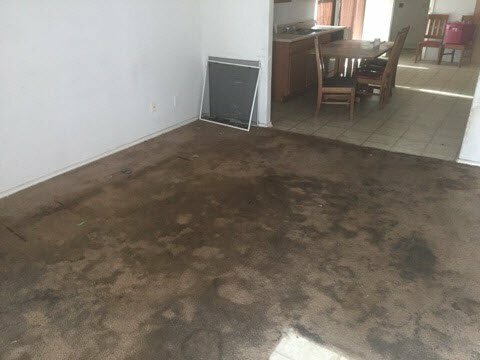 One bad tenant can ruin your whole experience and cause tens of thousands of dollars in damage. In our business we’ve seen hundreds of houses in need of repairs, but we think this one might get the title of Worst House. From the front of the house it actually didn’t look so bad. The house had decent curb appeal and with a little landscaping and a bit of paint it could actually look nice! As we walked up to the door, Jack mentioned the place had been closed up without any airflow for about a week so he was going to stay outside while we checked out the house and did our appraisal. We didn’t think anything of it since we’re used to San Antonio summers and weren’t worried about a little heat. What we failed to realize was that Jack was trying to warn us, not about the summer heat, but about the stench that was about to bombard our senses. Think of the worst thing you’ve ever smelled, now multiply that by about…7,582. The smell hit us like a brick wall and just about knocked us out cold. We quickly staggered back outside (wishing we’d had the foresight to bring a gas mask), took a deep breath, and bravely walked (more like ran, really) through that house in about 10 seconds flat. It was our fastest appraisal yet! Not the dogs at fault. Just a bunch of really cute puppies! We actually don’t know anything about the dog or more likely dogs that caused the damage to the house, but based on the amount of damage and the shear quantity of dog “stuff” left behind, there must have been multiple dogs living and constantly relieving themselves inside this house. We’ll probably never know what happened exactly; maybe the tenants were trying to start their own traveling circus (apparently only dogs were allowed in this circus) or maybe they were playing host to a pack of transitory wolves. 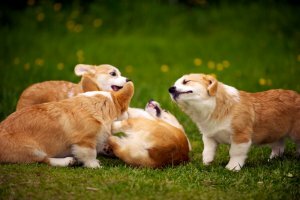 Regardless of what happened, we thought we’d add a bit of light to this post with a picture of some puppies (because everybody loves puppies)! We won’t go into a lot of detail here, but we will say that it was everywhere… and we mean EVERYWHERE! Once we’d made it safely back outside and had a moment to catch our breath, we made a fair cash offer on Jack’s house which he was happy to accept. Although the smell of the Dog House might haunt our dreams forever, it’s nothing that a hot shower, 5 gallons of bleach, and a few years of therapy can’t cure. In all seriousness, we were really happy to make a deal with Jack and glad that we could help him out of the sticky situation that he didn’t want to deal with. This house was definitely one for the books… or at least this blog. Well, we’ve always said that we’ll buy any house in San Antonio, TX (or the surrounding area) and this house just proved it! Clearly we’ll buy any house in any condition. This house smelled like death and will take a lot of time and effort to repair, but we were still able to make a deal and we hope to restore this house back to it’s former glory. Stay tuned for a follow up post showing the transformation of the Dog House!